Look no further than MGT Limousine when it comes to executive transportation solutions. We offer limousine and town car service to individual and corporate clients. Trust our professional drivers to drive your employees safely using your company vehicle. 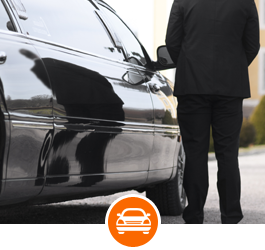 Get in touch with us to learn how our chauffeur service can help your business. For fast, reliable, and comfortable airport transportation solutions, turn to MGT Limousine in Somerville, New Jersey. We also offer limousine and town car service to local private clients, small businesses, and Fortune 500™ companies. 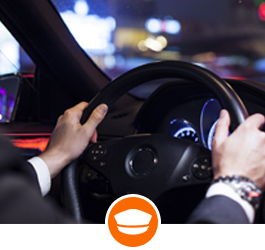 In addition to transportation, our company provides professionally trained chauffeurs to drive employee service vehicles for corporations, educational institutions, and other organizations. With more than 25 years of experience in the industry, MGT Limousine has established a reputation of consistently delivering excellent customer service. Even if we don't advertise our business a lot, we gain more and more clientele through word-of-mouth marketing. Over the years, we have maintained great relationships with numerous corporate clients like AT&T™, Cisco Systems™, Alcatel-Lucent™, and Ericsson™. MGT Limousine is also a proud member of the Limousine Association of New Jersey (LANJ). Give us a call today to inquire about our pricing details. Our friendly staff will be more than happy to assist you. Thank you for your interest. For questions or comments, please use the information listed here. We look forward to hearing from you soon. To open an account, use this email contact form to create a profile with us and begin booking online.